Major companies like Sony,Panasonic and BMW are rushing to support augmented reality in all aspects of daily life, especially in cars. We recently wrote about about the future of virtual reality and where the technology was likely to progress in the upcoming year. Similar theories are of course swirling around about augmented reality. The problem with augmented reality at the moment is the physical limitations of the technology; it’s just not available in too many places. Most users enjoy the augmented reality experience through their smartphones with games like Pokemon Go, or through chunkier “wearable” apparatuses like the Microsoft HoloLens, relying on a projection effect onto the literally in-our-face lenses. DigiLens is attempting to bring us augmented reality through more innovative mediums, and after raising $22 million in its most recent round of funding, it is clear that big players in the space believe they’ll pull it off–among the nine major corporations that invested were the likes of Sony, Panasonic, and Foxconn (the world’s largest contract electronics manufacturer). Their aspiration is to put augmented reality on as many live-view surfaces and devices as possible, including motorcycle helmets, cockpits of airplanes, military helmets, and, most recently, car windshields. 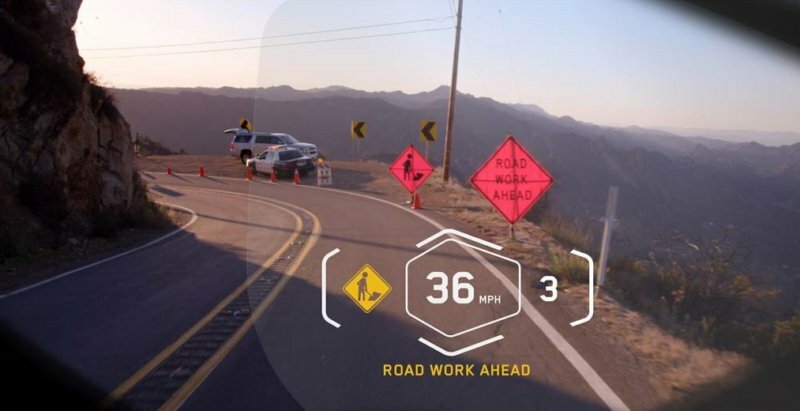 Their immediate goal is the physical production of augmented reality heads-up displays that relay data to drivers without distracting them. The concept behind their implementation is known as diffractive optical waveguide technology, and is supported by printing thin holographic optics into a “nanoscale optical thin film material”. Their technology allows for a superior field of view and a thinner lens. BMW is already in production putting DigiLens displays into upcoming car models, and when Panasonic unveiled its autonomous car concept at CES this year, DigiLens revealed that its technology would be part of the eCockpit Vision, designed to create AR displays in their vehicles. Most of the investors list the same logic behind backing DigiLens; they believe that rather than being distracting, the technology would in fact assist users during normal driving. 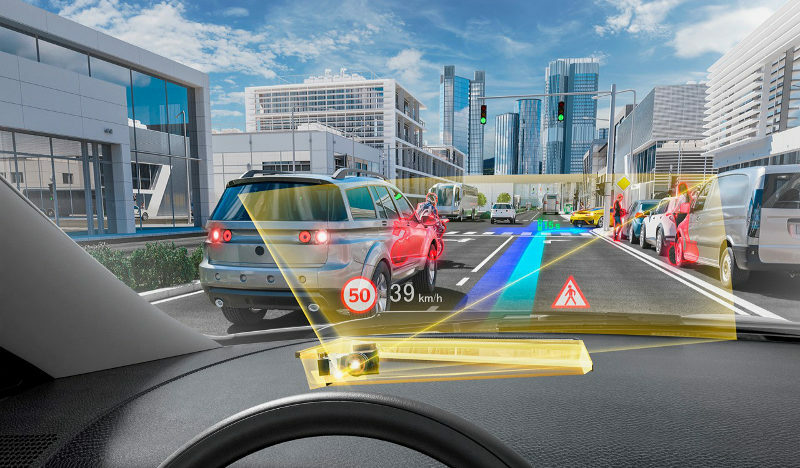 “Critical information” would be displayed directly in front of the user’s field of vision while driving–anything from travel speed to potential collisions and road obstructions. Now while all of this sounds good in theory, there may arise the question of how legal bodies will regard the technology and its potential safety impacts. When you think about how the use of cellphones in cars was banned, it’s easy to imagine North American authorities calling this a distraction that obscures the driver’s vision and attention. As with most driving issues, however, the biggest issues will likely come down to terrible drivers. Which is most of them. Well, my question would be, how much more distracting to the driver is this compared to anything they have on the dashboard or control center or whatever new cars are using these days? Augmented reality has a perfect spot on the windshield. I like that idea. Would the car then also have to be a smart car, or “connected” to internet stream for it to work? Being able to see this valuable information right in front of you as you drive is a key to safer driving. I love the idea and really hope the company gets the resources that it needs to continue this project. This is great news! Augmented reality has really started to grow, even though it has been around for a long time now. Thanks to Pokemon Go, companies are starting to see the understanding in the technology needed to get funds.